Sculptural artistic ceramics are not the same thing as modern figurines. We have a separate section for those. In this section, we are interested in a type of artist who expresses a sculptural dialogue within their work (oh.... and they have to use ceramics in some way within their work). It is on a different scale to a figurine and is often abstract, but not always. Clearly, unlike Jimbo's coffee cup art, it is non-functional. It is 3-d figurative or abstract artwork, and normally on a different scale to figurines. Unlike the 1930's period where design was informed by function before form, today, artists and designers are allowed both and form. Here, in this segment looking at sculptural ceramics, we step away from function for a moment to look at shapes that talk to us. 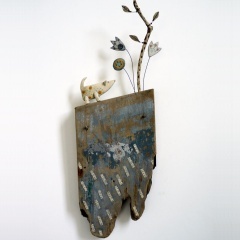 The place that sculpture and studio ceramics meet is the territory of Peter Beard. An acclaimed potter, Peter finds finishes and glazes which even the most experienced ceramicist looks at up close at and says "How on earth did Beard do that?" Truly at the fusion point of two noble genres, Peter sails effortlessly towards the blending of ideas and technique using wax-resist and mat-oxidization and several other techniques that takes a few decades to master. The end result are stunningly beautiful pieces of art. By contrast, Nikki Ella Whitlock's work is a universe full of ideas, originality and fantastical imagination. Her sculptures are divine in their incredible detailing. 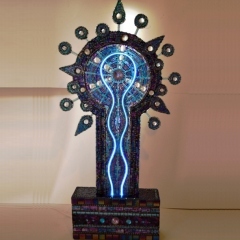 There is an inevitable waiting list of people wanting to commission her sculptures. Ceramic and glass mosaics are only a part of the recipe, but we like her for this section despite that. Remember it's our website, we can do what we want! 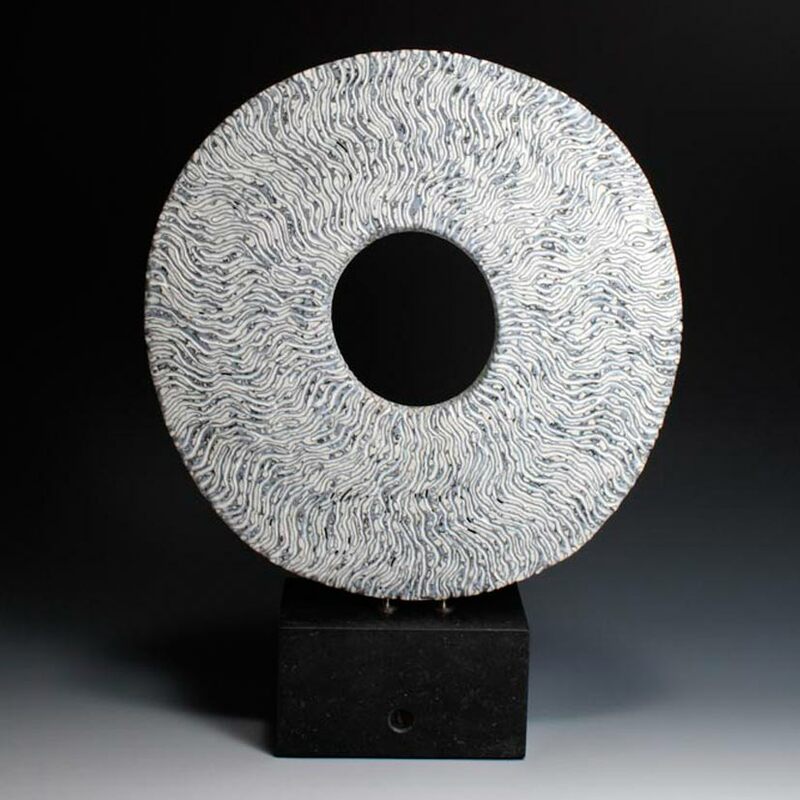 Shirley Vauvelle's earthenware ceramics also only represent a part of what constitutes her work. She mixes found objects with her own firings and sculpture, but the sum of the parts produces a lovely modern style of artistic ceramics.